Big Lottery Fund’s England Director Dharmendra Kanani visited the YMCA in West Bromwich yesterday (13 August) to learn how they will spend their share of half a million pounds in Lottery good cause cash. 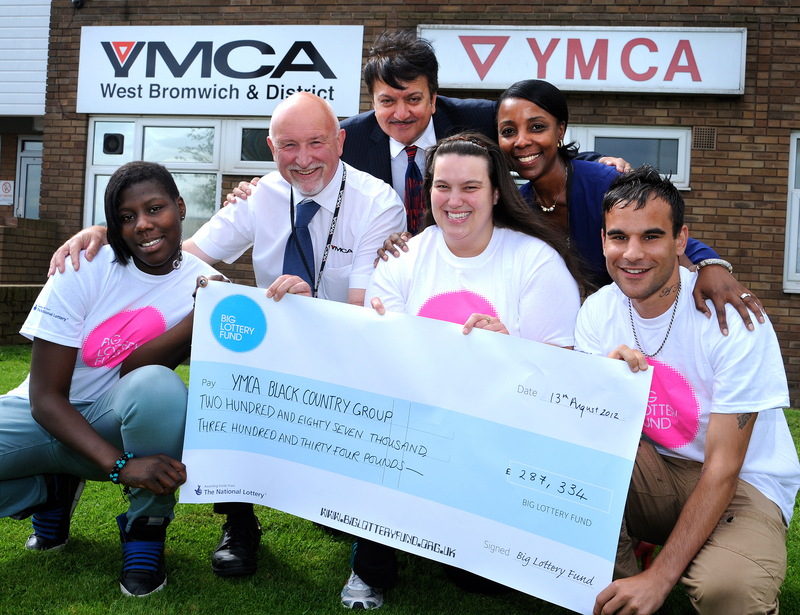 YMCA Black Country Group were presented with a cheque for £287,334 from BIG’s Reaching Communities programme to support young people and young adults aged 16 to 35 with physical and mental health problems in West Bromwich. The project aims to improve people’s health and wellbeing by offering a health assessment and access to a 24-week health and well-being programme tailored to individual needs and interests. The programme will include cooking sessions, exercise classes, yoga, aromatherapy and healthy living workshops. It will be delivered at community venues and in YMCA’s West Bromwich premises which house a gym and kitchen facilities. Volunteers and ex-service users will take up practical roles within the gym and kitchen to help deliver the programme which aims to reach hundreds of people in need. There was more good news in the local area as Sandwell Young Carers celebrated receiving £239,600 to help young carers by providing educational support, counselling, peer mentoring, social activities and respite, as well as ensuring access to social care support.